With over 1.3 billion residents, China has one of the world's largest medical device markets. Medical device manufacturers around the world are intrigued by sales opportunities in China, but the regulatory process can be challenging. Interested in learning how to tap into this market? This short video tells you how. 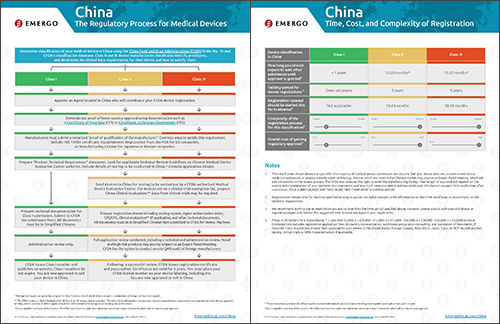 You may also like our free regulatory chart on the steps to regulatory approval in China.